Today, I'm sharing my newest layout for the actual challenge of Stuck?!Sketches. and lasting Memories. At Lasting Memories, the theme this month is: patterned paper and I choosed chevron paper. And this is my layout: I used several cut files from my computer and some chevron patterned paper. I love, how the colors pop off the black page! Fabulous take on the sketch. 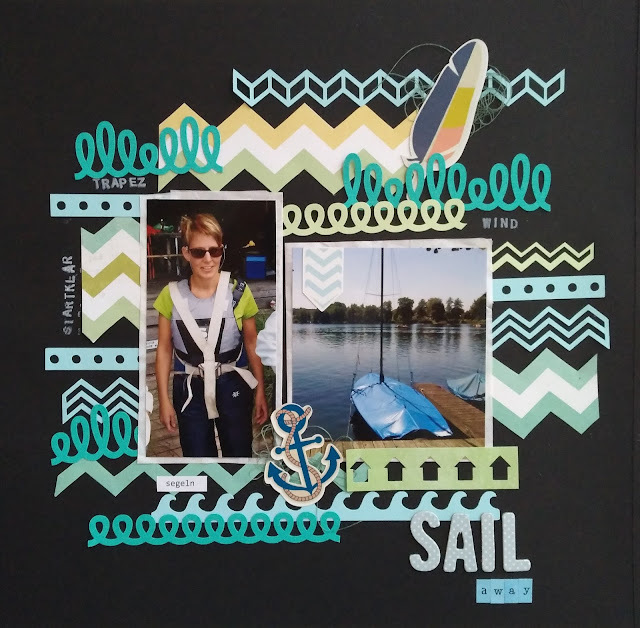 Love how you used the chevron papers. Thanks for playing along with Lasting Memories Layout Challenges and Stuck?! Sketches!!! Fantastic take on the sketch, the die cut strips add a great touch to your page!! Thanks for joining us at Stuck?! Sketches! What an awesome, bold page! The cut files look fantastic! So happy you played with us at Stuck?! Sketches! CUYL - Flowers and Butterflies - 2.9.